The Institute is one of the founders of the Interdisciplinary Journal “Nonlinear Phenomena in Complex Systems”. 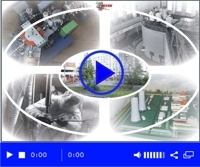 The primary objective of “Nonlinear Phenomena in Complex Systems” is to provide a single forum for this interdisciplinary area to strengthen links between basic and applied research, theoretical and experimental methods relating to nonlinear dynamics of complex systems encountered in the natural and social sciences. Its goal is to bring together, in one periodical, significant papers of high quality on all aspects of nonlinear dynamics, including phenomena, modelling, and complexity, thereby providing a focus and catalyst for the timely dissemination and cross-fertilization of new ideas, principles, and techniques across a broad interdisciplinary front. 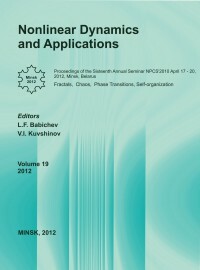 The scope of this international journal includes experiment, computational, and theoretical aspects of phase transitions, critical phenomena, self-organization, bifurcations, chaos, fluctuation phenomena, pattern formation, fractals and complexity in physics, mathematics, chemistry, engineering, biology, social and economic sciences and the other areas of Scientific endeavour. The Institute is one of the Organizers of the Annual Seminar “Nonlinear Phenomena in Complex Systems”. The 19th International Seminar “Nonlinear Phenomena In Complex Systems” (April 17-20, 2012, Minsk, Belarus) traditionally had subsubjects: “Fractals, Chaos, Phase transitions, Self-organization”, plenary sessions and the following session: High Energy Physics; Radiation technologies; Nuclear physics; Theoretical Physics; Math-Chaos; Particles; Media. 64 oral and 12 posters talks were submitted to the 19th Seminar by the scientists of the Ukraine, Russia, Belarus. Most of the papers will be included into these Proceedings.